At Saybrook Point we believe your wedding should reflect a couples personal style and tastes, which is why our weddings are completely customizable. Whatever the season, we have options to help you create your own unique Connecticut ceremony space. For indoor ceremonies choose from our Main Ballroom, an inviting space with traditional elegance, or try one of our more intimate spots featuring cozy fireplaces with classic style. 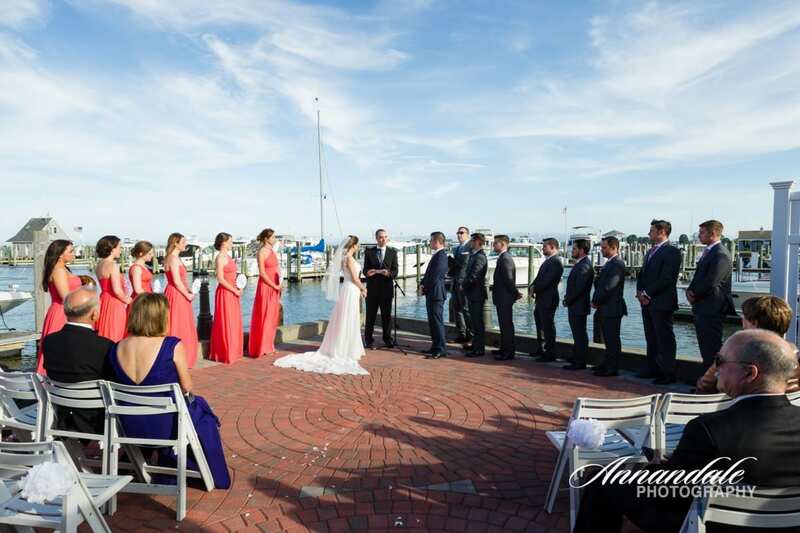 If your dream is to say “I do” in an outdoor setting, we have options that will provide a beautiful waterfront backdrop for your wedding ceremony. Compass Rose is a terrace located at the end of a bricked walk, facing the picturesque Marina, and looking towards the Long Island Sound. Compass Rose is an ideal setting for a sunset or early morning wedding ceremony. 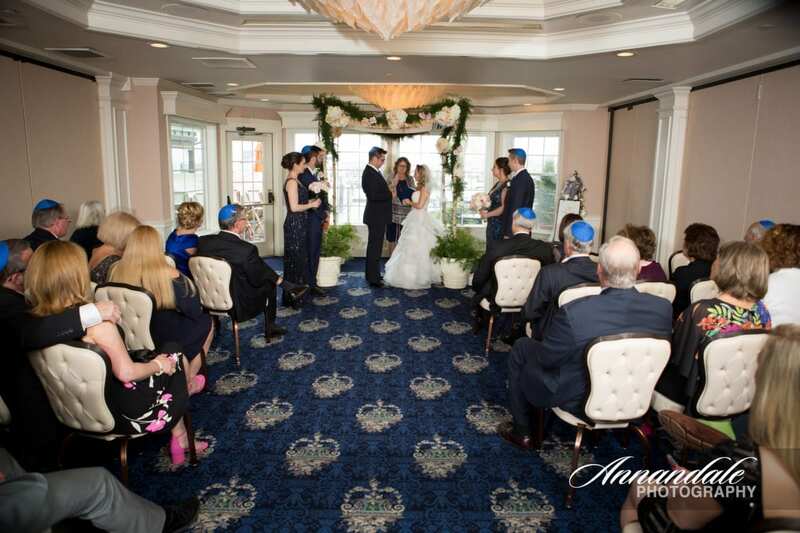 The Main Terrace is located just off of of our Main Ballroom, and provides an outdoor ceremony space with spectacular views of both the Marina, our Lighthouse and the scenic Connecticut shoreline. The beautiful gardens surrounding the Main Terrace are plush and add just the right touch of color to your prefect ceremony. 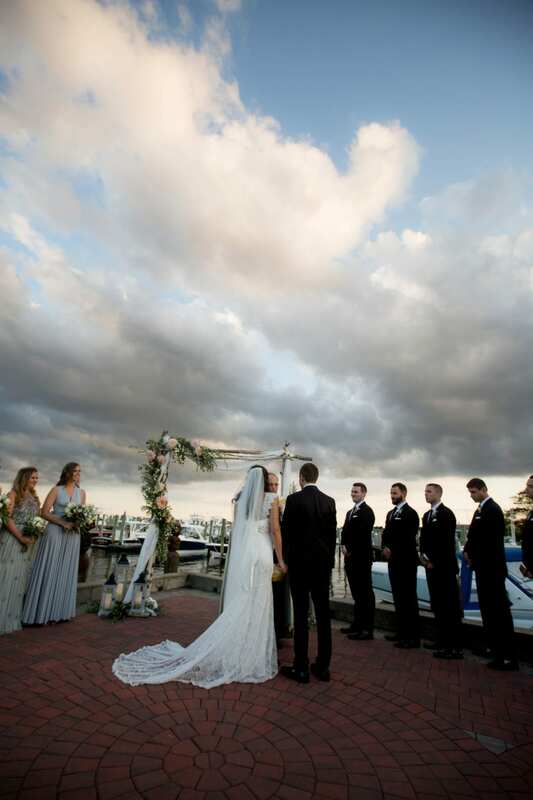 From docks to gazebos and nearby parks, Saybrook Point has some of the most picturesque options for our brides and grooms. Plan your New England seaside wedding today. to plan your seaside wedding today!